I'm excited about taking my first online class at CDHM tomorrow. But what makes this class extra special is the teacher – Oiseau deNim. 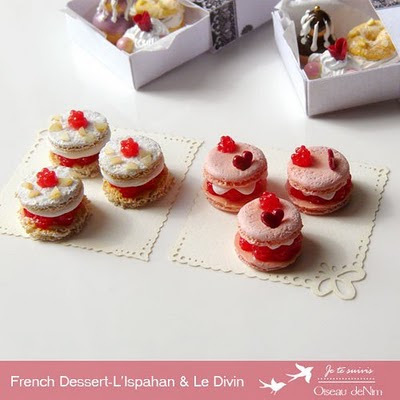 She will be instructing the participants on making French Desserts and Macaroons. She is a fantastic food artisan! Stop over at her blog or better yet, register for her class on CDHM. I have signed up for this and am really looking forward to it. Me too!! I love Oiseau's work!! Estoy de acuerdo es una gran artesa, soy seguidora de su blog!! It will be fun to see everybody on CDHM tomorrow! Thank you Carol.